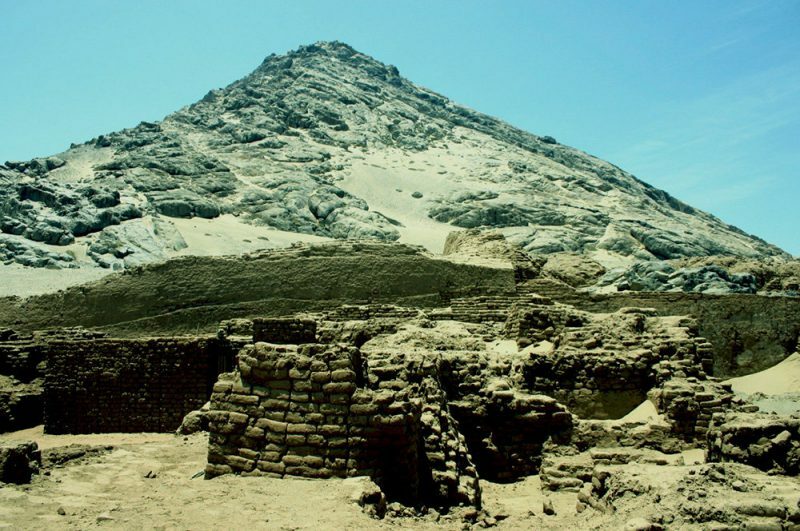 The desert of northern Peru was home to a number of important civilizations long before the time of the Incas, the most important of which is the Moche culture. 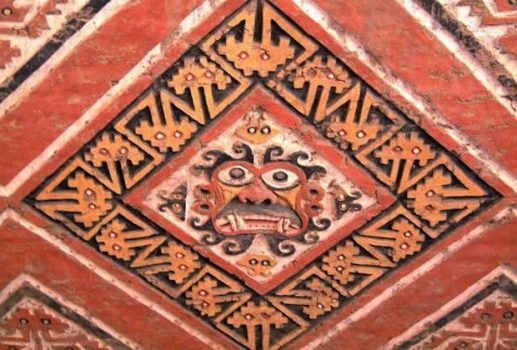 The archaeological discoveries in the last three decades, especially the gold-filled tombs of the Lord of Sipán, have cast new light on the fascinating Moche culture. The Moche Route is easily visited as a short trip from Lima or Cusco. 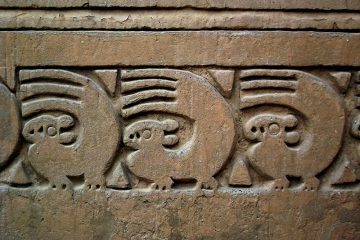 The main cities in northern Peru – forming part of the Moche Route – are Trujillo and Chiclayo. 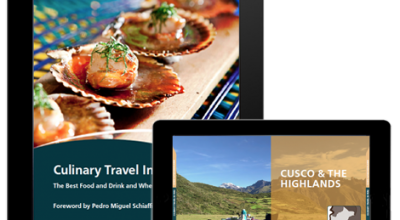 The archaelogical highlights of the north show how Peru is home to far more history than just the Incas. 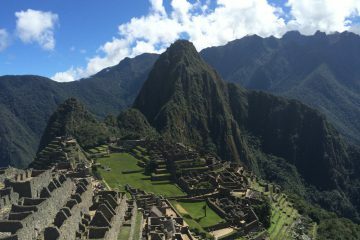 Before the mighty Inca reigned supreme, the deserts of northern Peru hosted a number of ancient civilizations in its parched valleys. These societies are understood today through their archaeological remains, the footprints of civilizations that have since departed. 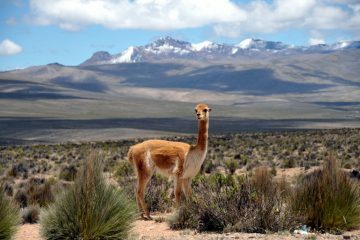 The Chimú left impressive monuments like UNESCO World Heritage site Chan-Chan, which give testimony to the highly organized society that existed hundreds of years ago. Arguably the most important of these civilizations were the Moche, masters of metalworking and irrigation, who told their story in finely crafted precious metals and exceptional pottery in lieu of a written language. 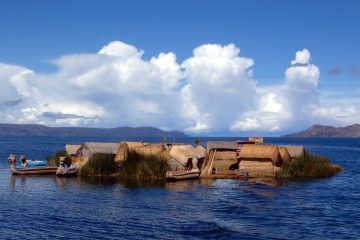 The first civilizations to develop in Peru did so in the Northern Coast. Caral (about 3000 B.C. 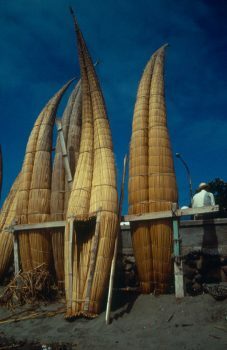 ), now considered to be the oldest city in the Americas, is situated on this narrow strip of desert 245 kilometers (152 miles) from Lima. There is the site of Sechin (1700 B.C.) with its monumental stones, the fascinating and extensive Huaca de La Luna (Moche 100-700 A.D.) where exemplary conservation work is being carried out, and the archaeological complex of El Brujo whose recently opened site museum houses the remains of the Mummified Priestess La Senora de Cao. The eroded pyramids of Tucume built during the Moche’s rule, are a spectacle, especially at sunset. 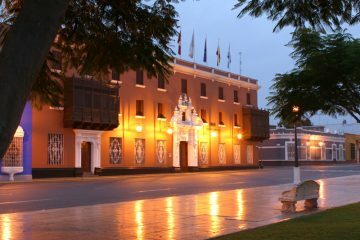 The highlights of this area are the two superb museums that house the gold and silver artifacts from the excavated tombs of Sipán (Moche culture) and Batán Grande (Lambayeque or Sican culture c 750-1375 A.D.). The Moche Route encompasses the key northern cities of Trujillo and Chiclayo and their nearby archaelogical sites. 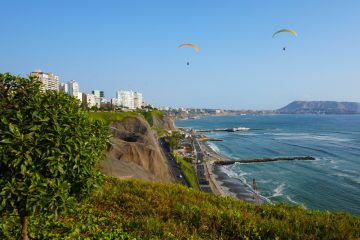 There are flights to and from Trujillo from Lima and Cusco; there are direct flights between Lima and Chiclayo. 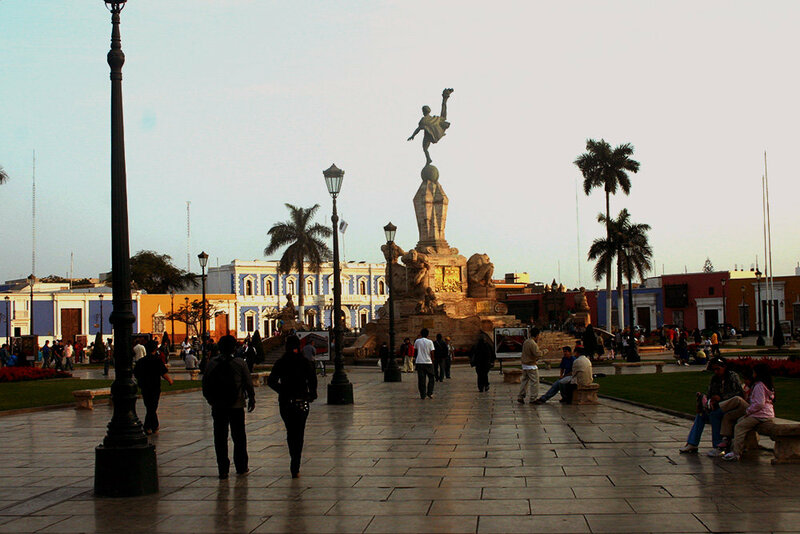 The city of Trujillo, known as the “City of Eternal Spring”, is the capital of the northern region of La Libertad. 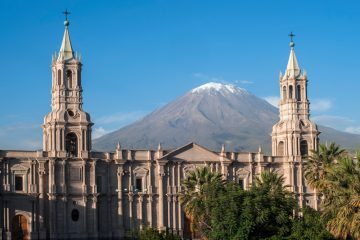 Situated about 445 kilometers (about 275 miles) north of Lima, Trujillo was founded in 1534 and named after Francisco Pizarro’s birthplace in Spain. 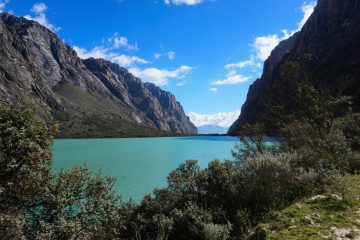 It is historically northern Peru’s most important city, as it served as the provisional capital of Peru during the independence movement in the 17th century. 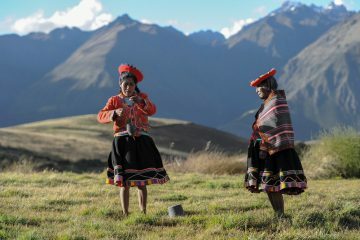 The city holds an annual Spring Festival where women in traditional white lace skirts and blouses perform the traditional Marinera dance, accompanied by horsemen on Peruvian Paso horses. Trujillo’s main archaelogical sights of interest are nearby Chan Chan and Huaca de La Luna. 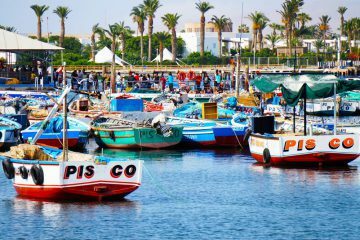 Huanchaco, a coastal town, is also close by and a great place to enjoy a fresh seafood lunch between archaelogical visits. The next major coastal city is Chiclayo, just over 200 kilometers (about 125 miles) north of Trujillo on the Pan-American Highway. Chiclayo is known for its “shamanism” and traditional, natural medicine practices. As you wander around, you will see the herbalist and brujo (witch doctor) stalls with their dried plants, bones, bits of animals, and other healing charms. Other things to look for include heavy woven saddlebags called alforjas, an item typical of the area that is worn over the shoulders with one bag on the front and the other on the back. 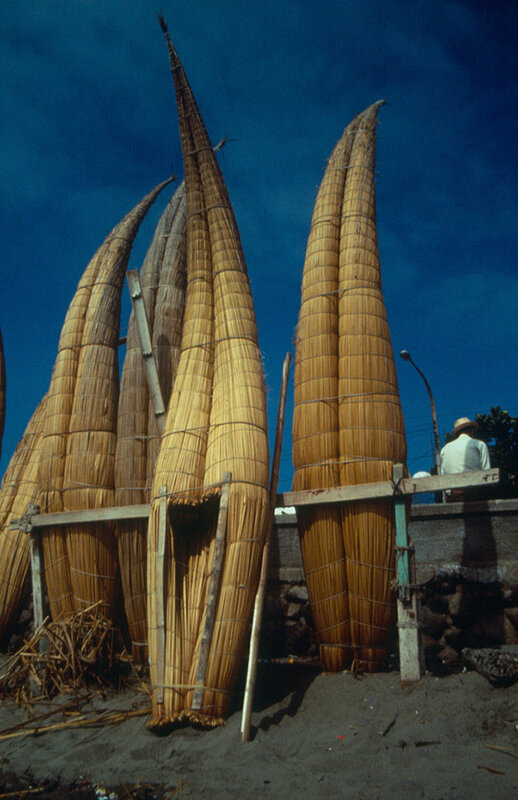 Woven straw items such as hats, baskets, mats and ornaments are also popular souvenirs. The Chan-Chan archaeological complex was the capital of the Chimú civilization from AD 900 to 1400. Located about 5 kilometers (about 3 miles) west of Trujillo, it was built around AD 1300 and covers about 28 square kilometers (11 square miles), making it the largest mud city in the world. During its ancient heyday, Chan-Chan consisted of administrative offices, ceremonial altars, storerooms, military bunkers and vast reservoirs, which still stand today. Visitors can marvel at the architecture of the palaces: huge constructions of clay and sand measuring up to 15 meters (about 50 feet) in height. The trapezoidal walls of huge stones and clay measure 5 meters (about 16 feet) wide at their base in order to withstand earthquakes. The high walls are decorated with beautiful reliefs, depicting rituals, religious mythology, constellations as well as scenes from the farming and fishing seasons. The Moche culture, which prospered from around AD 1 to 700, dominated several valleys on Peru’s northern coast. The Moche left an especially vivid artistic legacy, particularly in their pottery and metallurgy. By around AD 550, the southern Moche held sway over the valleys from Chicama to Huarmey. A series of Moche centers dating from about AD 300 to 550 administered these valleys, including Huaca del Sol and Huaca de la Luna (Pyramids of the Sun and Moon) in the Moche, or Trujillo, Valley and Cao Viejo-El Brujo in the Chicama Valley. 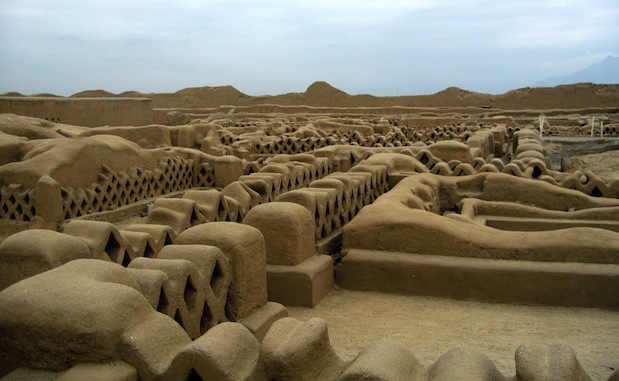 These truncated mud pyramids are about 700 years older than Chan-Chan and are attributed to the Moche civilization. The Huacas, or terraced adobe mounds, that dominate the site, likely complimented each other: the Huaca del Sol serving an administrative function and the Huaca de la Luna a religious one. 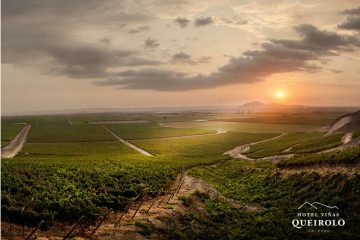 The sprawling complex of Cao Viejo-El Brujo in the Chicama valley just north of Trujillo was occupied from Pre-ceramic times to the 18th century. Excavations have uncovered the remains of a Pre-ceramic fishing village known as Huaca Prieta, occupied by 3000 BC. But the most remarkable period and the most visual architectural remains are those dating to Moche times, circa AD 100-700. 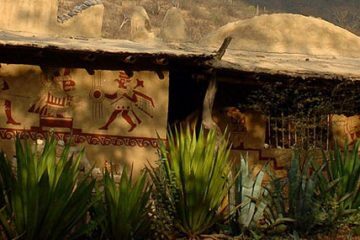 The archaeological complex of El Brujo houses a series of pyramids built on top of temples raised by earlier cultures. The main section of El Brujo is a truncated pyramid that stands 25 meters (82 feet) tall and features some of the most impressive friezes in the area. Huaca Cao Viejo is one of the most important and has been extensively excavataed since the 1980s. Huaca Cao Viejo also served as a stage for human sacrifice ceremonies. Sipán in the Lambayeque valley is famed for its rich tombs revealed by archaeologists. The burial platform served as a mausoleum for a succession of Moche lords, accompanied to the afterlife by a stunning selection of burial offerings. 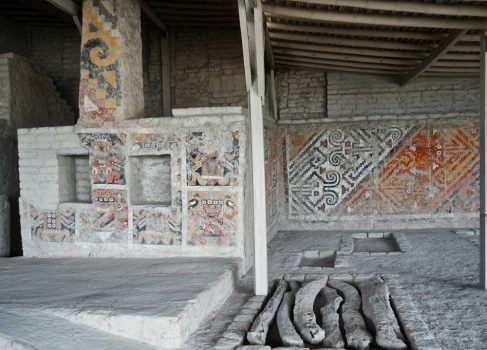 The tomb of the Lord of Sipán is the most archaeologically engaging of the Moche burial sites – indeed, it is considered by some archaeologists to be the most important intact tomb found in the American Continent. The Lord of Sipán was a divine Moche leader who was buried in all his finery. There is a separate museum – one of the finest in all of Peru – dedicated to the staggering discoveries made here. Batán Grande’s monumental adobe mounds and rich, gold-filled tombs are striking reminders of the golden hoards found at the Moche tombs of Sipán; there, too, in the tradition of Lambayeque, wealthy lords went to their tombs accompanied by retainers and great fortunes. Many of these archaeological treasures are on display in the Sicán Museum by the site. After the abandonment of Batán Grande, the Lambayeque people moved westward and established a new center at Túcume. 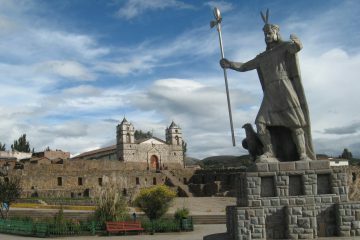 It flourished as the leading center in the region from about 1050 until its conquest by the Chimú around 1350. A history of the site is detailed in an on-site museum at Túcume. 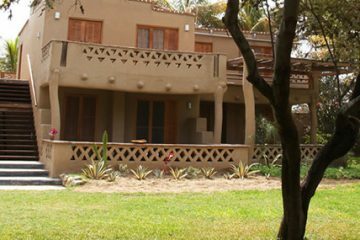 Los Horcones de Tucume hotel is right next door, with views of the Tucume pyramid from the grounds. 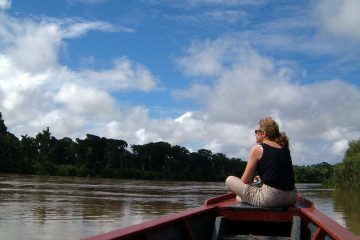 Many natural attractions also abound in northern Peru, including the Bosque de Pomac, a natural preserve of native Carob Tree (Prosopis). 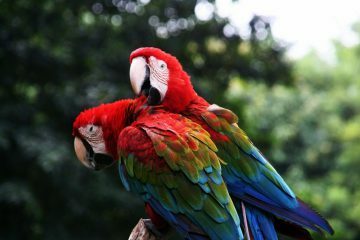 You can also visit Chaparrí, a private nature reserve that provides a home to the endangered spectacled bear (‘Paddington Bear’). The archaeological complex of Caral in the Supe Valley dates to late Pre-ceramic times (circa 3000-2100 BC), making it one of the earliest monumental centers in the Americas. The site covers about one square kilometer (one-third of a square mile), and its core area includes domestic architecture and 32 well-preserved monumental constructions, two of which are fronted by circular courts. 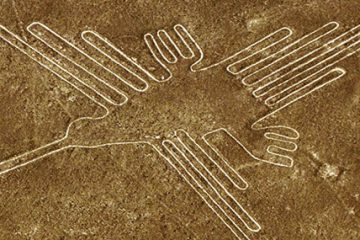 Caral can be visited from Lima as a long day trip of with an overnight stay. 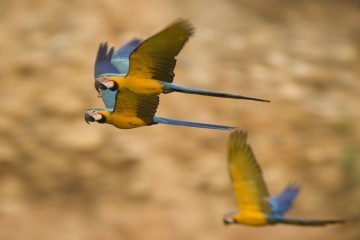 Aracari offers visitors exclusive access with top Peru specialists who can take you behind the scenes and provide you with a wealth of information, not just as expert guides, but as professionals in the field. 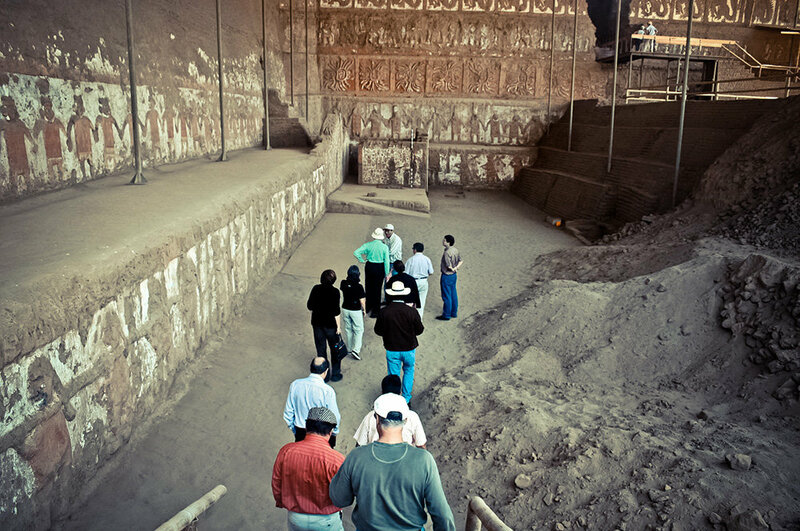 With Aracari you can truly have an insider experience when you visit archaeological sites accompanied by the project directors who will open up areas of restoration and conservation work usually closed to the public. 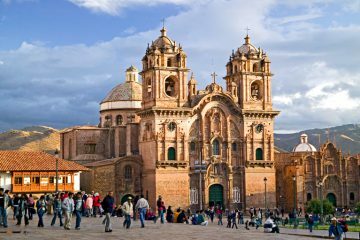 There are direct flights from Lima to Trujillo and Lima to Chiclayo, and a limited schedule as of 2018 between Cusco and Trujillo. 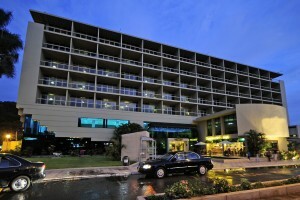 It is also possible to drive from Lima – approximately 8 hours on the Panamerican highway. 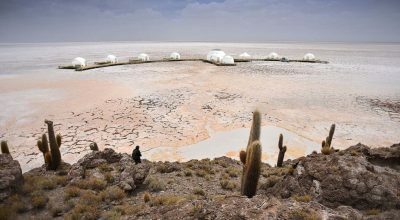 Driving allows a visit to Sechin, one of Peru’s earliest sites dating back to 1700 B.C. If you start your Moche Route visit in Trujillo you can end in Chiclayo, or in reverse. Driving between Trujillo and Chiclayo takes approximately four hours. 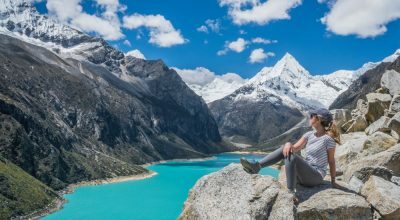 Alternatively, if ending in Chiclayo you have the option to drive inland to Chachapoyas, which takes a full day (around 8 hours). Similarly you can visit Chachapoyas first, then drive on to Chiclayo to end on the coast. 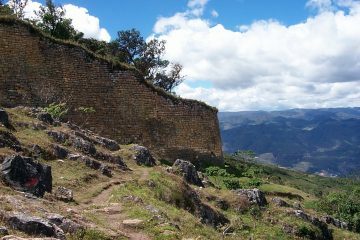 It is also possible to connect The Moche Route with Cajamarca, a six hour drive. 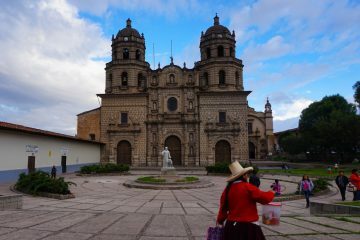 Its colonial center is very attractive, and well off the conventional tourist circuit in Peru. 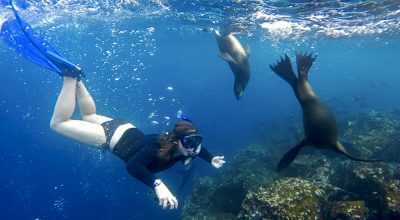 Peru’s north coast is a year-round destination. 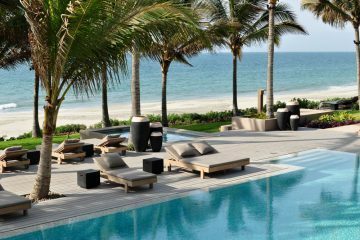 It is hotter with more sunshine from December to April, but generally there is sunshine all year.